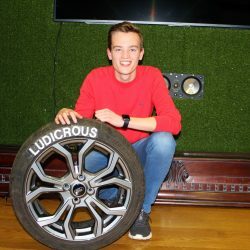 Daniel Spence left the Dragons Den yesterday with £500 to invest in his personalised tyre-writing business, Ludicrous. 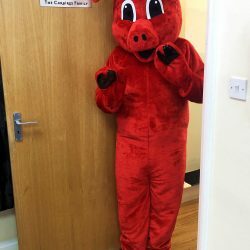 Congratulations Daniel – we look forward to hearing about your further achievements! 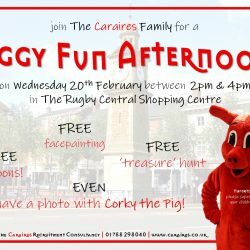 He’s big, he’s red, he’s cuddly and smart… He’s CORKY the Caraires Pig!